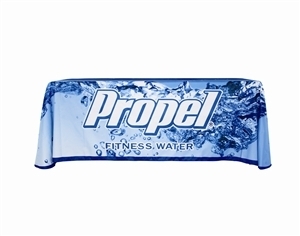 custom printed table throws is designed for event display. 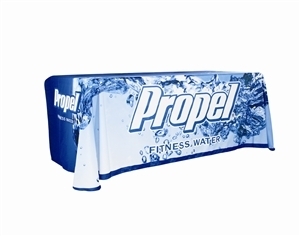 This Table throw is a great addition to your trade show booth and is sized to fit standard 6ft table. Available in full graphic print. The 4-sided (Full back) Table Throw has full length material on the front, back and both sides of the table. 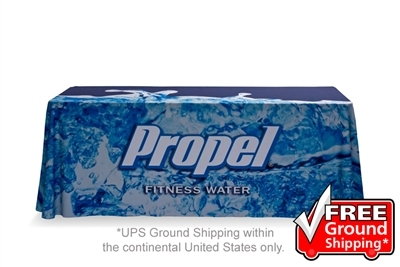 *Turnaround time is based on orders with up to 2 sets of graphics. Please call us for orders with more than 2 graphics. After placing your order. You will use the upload tab to send us your print ready files. You can submit print ready artwork at no extra charge. Copyright © SoCal Race Shop.